This story is featured in the Fall 2018 edition of the HPU Magazine. 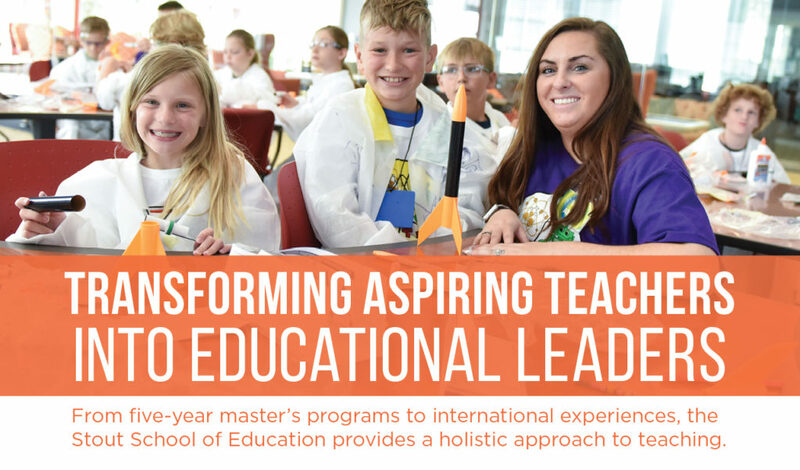 Discover below how HPU’s Stout School of Education provides future teachers with an endless variety of experiential learning opportunities. 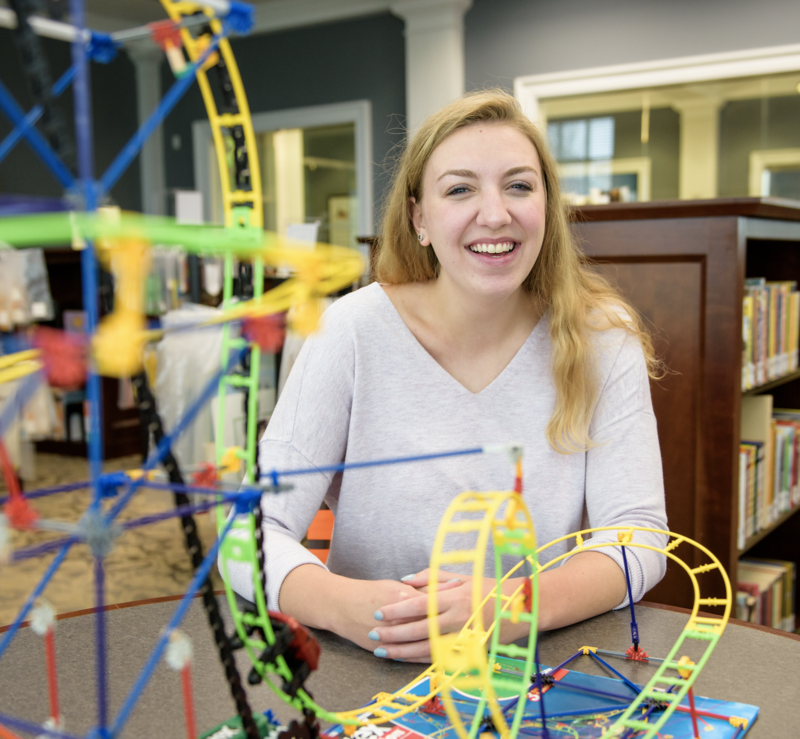 During her senior year of high school, Mallory Heffelfinger uncovered a passion for teaching. It happened in fourth-period calculus. Her teacher was unexpectedly called out of the classroom and summoned Heffelfinger to the front of the room before stepping out. That made an impact on Heffelfinger. Her next step was finding the right university — a place that would continue to push her outside of her comfort zone and further her passion for teaching. She visited HPU and felt at home. 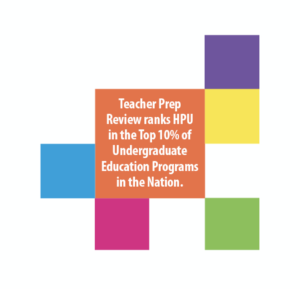 Heffelfinger says that HPU’s School of Education embraced her ambition, which isn’t something she found elsewhere. Heffelfinger quickly found a mentor in Dr. Dustin Johnson. 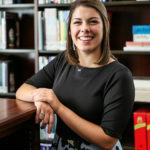 Soon after arriving at HPU, Heffelfinger realized her desires to someday move beyond the classroom and into an administrative role. She loved teaching — that was easy to confirm. 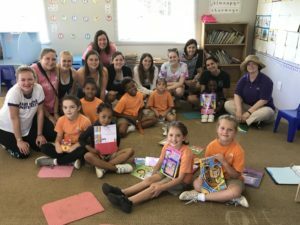 During their first year at HPU, education majors are immediately placed inside a classroom, completing an internship under the guidance of a local teacher. But Heffelfinger also liked the idea of becoming a leader in the field of education. “I approached Dr. Johnson about starting a fifth-year program for teachers who wanted to earn their master’s degree with the intent to move up to an administrative position,” Heffelfinger says. Johnson fully supported the idea, and working with Heffelfinger, they made it happen. The School of Education already offered B.A. to M.Ed. 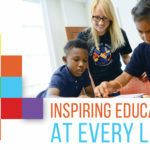 programs in other tracts, including elementary education and special education. In summer 2017, the B.A. to M.Ed. program in Education Leadership welcomed its first cohort. The hybrid course, consisting of online work and campus meetings, allowed Heffelfinger and her classmates to complete their M.Ed. while continuing to teach as first-year educators. In May, with one month left in her inaugural year as a first-grade teacher, Heffelfinger crossed the stage at HPU’s Commencement with her master’s degree. With that second degree came the excitement in knowing that she had helped build a program. And better yet, she helped better the school she’d come to love. The School of Education knows that stepping outside of one’s comfort zone is an important part of growth. Sometimes, that means packing your bags for a trip around the globe. Ryann Coughlin was nervous, but she had to be confident. She was more than 8,000 miles from home, walking into a classroom that beared little resemblance to ones in the U.S.
She took a deep breath and walked through the doorway, taking her place at the front of the classroom. Heads turned toward her in attention. The students broke into smiles, and Coughlin found her confidence. In the spring, the School of Education launched a partnership with Orange Grove School in Tarkastad, South Africa — a global pairing that allows HPU education majors to test their skills on an international level. Coughlin, a senior education major from Long Island, New York, took part in the trip. She jumped at the opportunity. She understood the importance of seeing how students learn in different cultures. 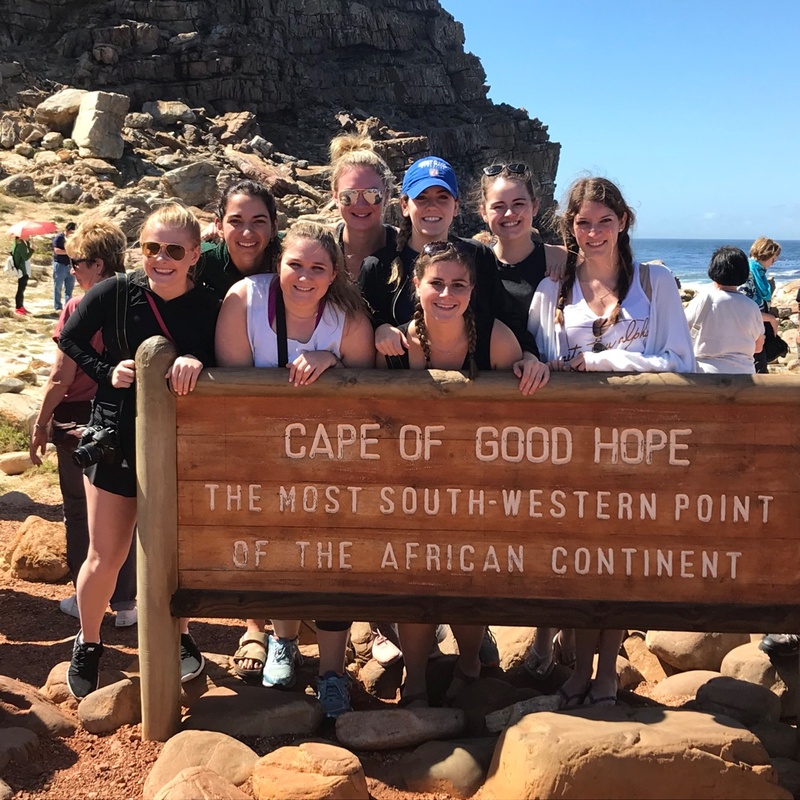 Before HPU students took the lead at Orange Grove School, they spent three days immersing themselves in the South African culture and shadowing teachers at the school, learning the differences in teaching styles. Dr. Leslie Cavendish and Dr. Sarah Vess, professors in the School of Education, led the trip. While they prepared the students with tactics for acclimating to a new culture in the weeks leading up to their departure, both were still surprised by how seamlessly the HPU education majors blended with the students. of Education find everyday opportunities to garner a holistic education. 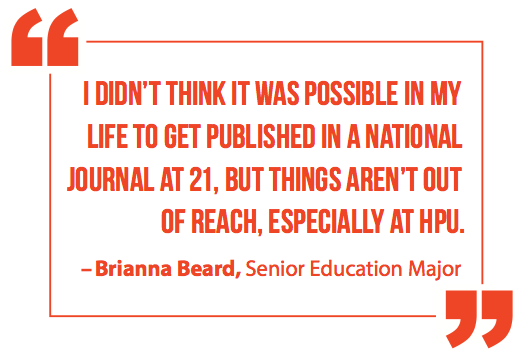 Brianna Beard heard about HPU through a close friend and loved seeing photos online. When it came time to tour colleges, Beard had to see the school for herself. During her tour, Beard stopped by the School of Education to see the facilities. She ended up spending 45 minutes with Dr. Mariann Tillery, the school’s dean. Beard didn’t have an appointment, but Tillery gave her the time. Later, while sitting near the windows during lunch with her parents, she looked out over campus and began to dream. Today, Beard is an elementary education major who spent this past summer teaching in France and Spain. 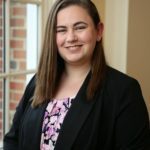 She returned to HPU in the fall for her senior year and is obtaining her master’s degree as part of the B.A. to M.Ed. 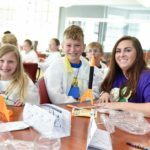 elementary education program with a focus on STEM. Her inspiration to enroll in the program? Dr. Shirley Disseler, chair of elementary and middle grades education and STEM education program coordinator. Known on campus as the “Lego Lady,” Disseler is a certified Lego trainer, teaching students how to bring creativity into the classroom. That’s what Beard aspires to do. She’s dedicated time to researching and sharing unique teaching methods. In the spring, that research paid off. Beard flew to Las Vegas with Disseler and presented her research at the National Social Science Association’s annual conference. But her research didn’t go unnoticed. She was recognized as having the best undergraduate paper at the conference. 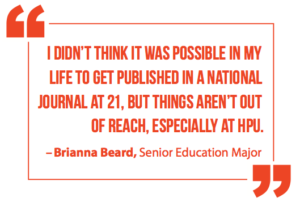 Her 13-page paper has now been published in the association’s national journal. That happened thanks to Disseler.